At 365 Office Solutions Ltd, our dedicated team of experts provides managed IT services and solutions to businesses of varying sizes and backgrounds across the UK. After working for more than 15 years in the IT managed services industry, we understand how important it is to employ only experienced IT professionals who have a wide range of specialties. When you outsource the management of some or all of your IT systems to a third party, you are investing in managed IT services. Doing so gives you the peace of mind that your IT management is in the hands of experienced professionals, which helps to free up time for your IT support staff and potentially significantly reduce operating costs. By freeing up your organisation from routine IT tasks the IT department can add value in other areas of the business. 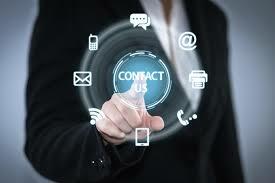 A single point of contact for all of your IT needs and issues. You choose how much of your IT systems you want managing and we will do it. With time-consuming but essential IT tasks being taken out of your daily 'To do' list. Provided by the fact we tailor our managed IT services to the specific requirements of each of our clients.